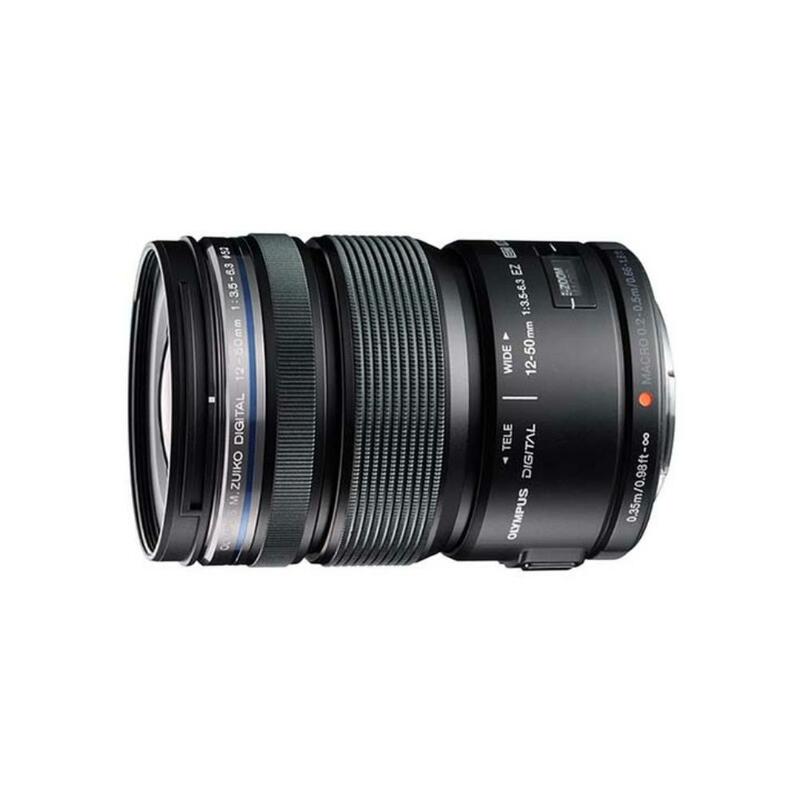 The Olympus M.Zuiko 12-50mm f/3.5-6.3 EZ Micro Four Thirds Lens features a flexible range with Electronic Zoom Control that uses a linear motor for smooth, dramatic zooming effects during video recording. The One-Touch Macro Mode button allows you to focus as close as 7.8" away while Movie and Still Compatible autofocus provides near-silent AF performance. This lens also sports a "snapshot" ring that is pulled back for manual focus control, which some find more intuitive and quicker than flipping an AF/MF switch. A programmable L-Fn button is available for easily accessible settings adjustment. This lens is ideal for a wide variety of subjects and is therefore a great choice for vacations and events.